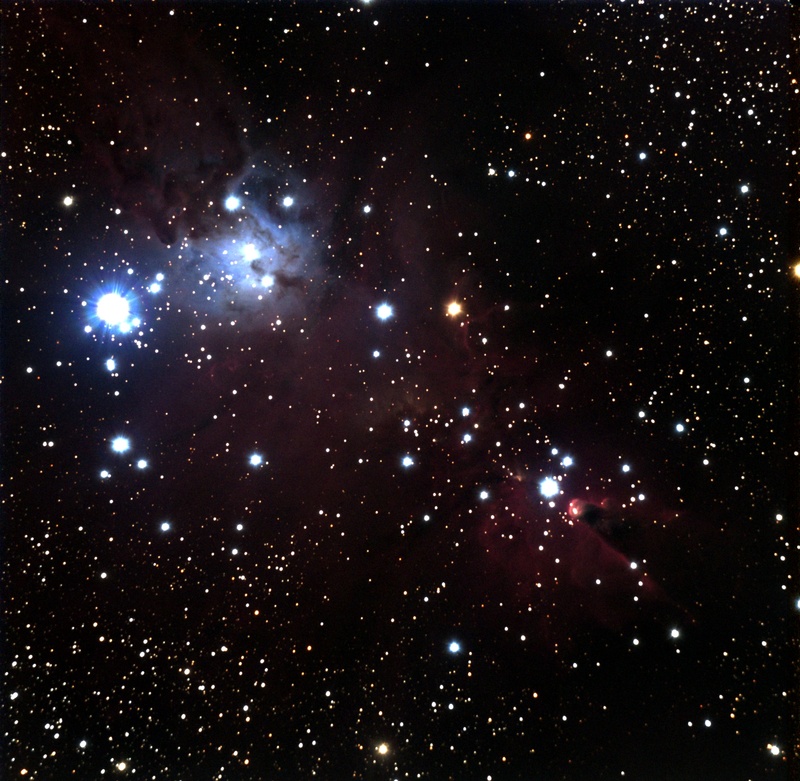 NGC 2264, in the constellation Monoceros, includes an open star cluser known as the Christmas Tree cluster (left and center), a bright reflection nebula (upper-left), a large area of faint emission, and the spectacular Cone Nebula at lower-right. 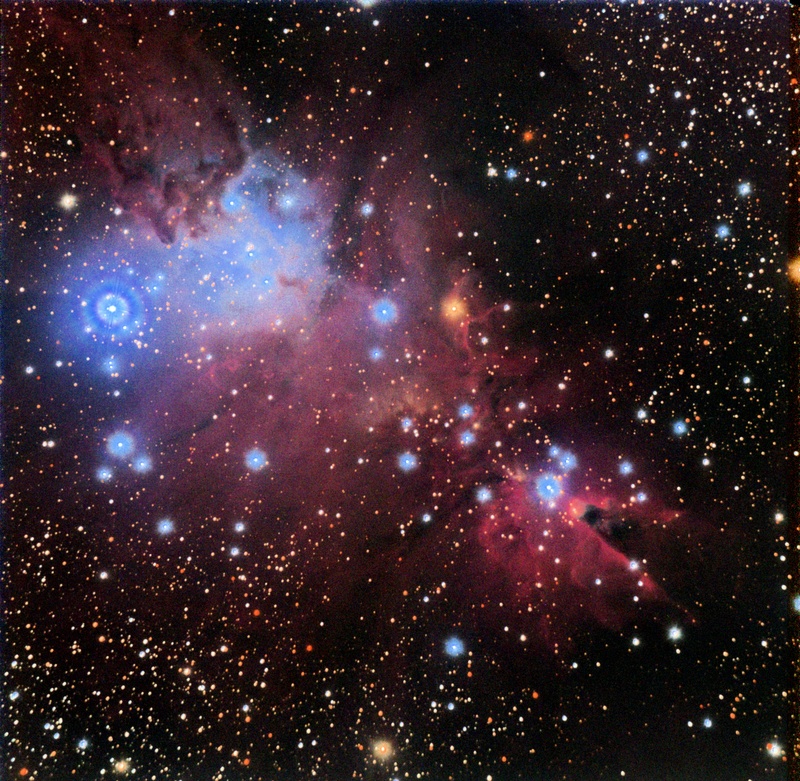 The reflection nebula can be seen visually, but the emission nebula and Cone features are too faint. The distance is approximately 2700 light years. First try at Cone Nebula. 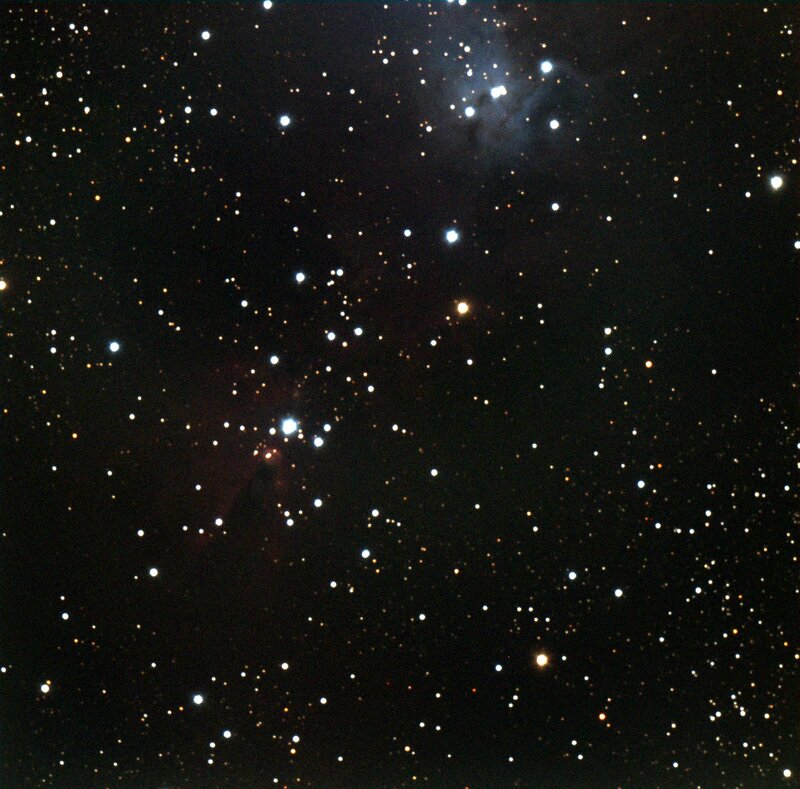 Conditions were not ideal - thin clouds, light pollution, poor seeing. A really dark sky and many exposures will be needed to see this better.